Community based tourism has the potential advantage of giving due significance to folk lifestyles, traditional crops, food, livelihood systems, custom and cultures. The tribal areas beside its beauty have many things to offer like farming culture of highlands, social milieu and variety of food. HRG took initiative for household based tourism enterprise in tribal Sangla Valley of District Kinnaur in Himachal Pradesh. 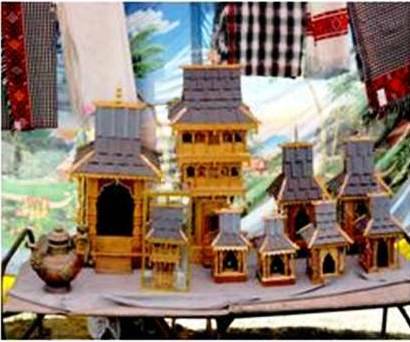 Beautiful wood carved houses, costumes, food/beverages, handloom, handicraft, jewelry forms major components of the tribal area household based tourism enterprise. 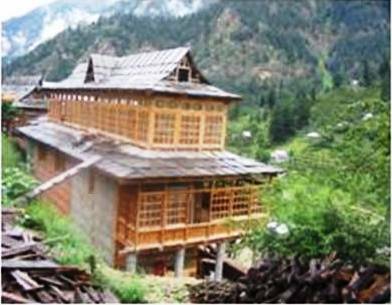 HP Tourism Department facilitates the registration and more than 50 households registered in Sangla Valley under ‘Home Stay Scheme’ www.himachaltourism.gov.in. Tribal women were trained in hospitality and hygiene technique provided in preparation of menu and serving of food items in addition to housekeeping. Annual Household Tourism Festival was celebrated with participation of Home Stay households, artisan, weaver, cultural groups, dry fruit traders and farmers in last week of May since 2008. Tourists were attracted through scientific validation and serving of traditional food of Fagopyrum esculentum (Oghla), F. tataricum (Phaphra) & Prunus armeniaca (Chuli). Rich supply of flavonoids, rutin, protects against diseases by acting as antioxidant. Fagopyrum lipid lowering activity is largely due to rutin. Maintain blood flow and high ratio of good cholesterol (HDL) to total cholesterol. Oghla lower blood sugar up to 12-15%, prevent post menstrual breast cancer. Cozy wood houses are less energy consuming and provide required ambience. Model provides opportunities to local artists to showcase their tribal art through cultural presentations and exhibitions of traditional dress and jewelry. Highland tracking provide knowledge of important biodiversity of the valley. Traditional food and craft have made a comeback with this tourism model. Tribal were successful in doing brisk sale of handicraft, handloom, dry fruits, pulses, buckwheat, apricot oil, honey etc.